Learning from Frank Gehry ….Chapter 5, dealing with economic reality?…. 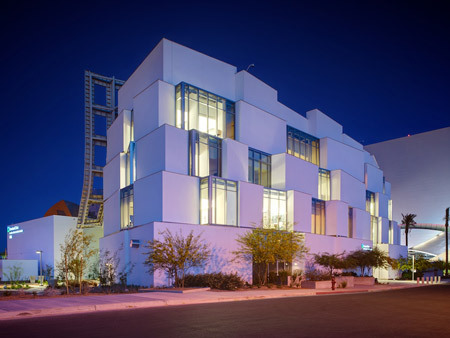 If you will be asked, how does look, a typical Frank Gehry‘s building. Most of us will agree that they look very sculptural. Now look at the next image…would you believe this is the same building shown above? It looks like a completely different building…. 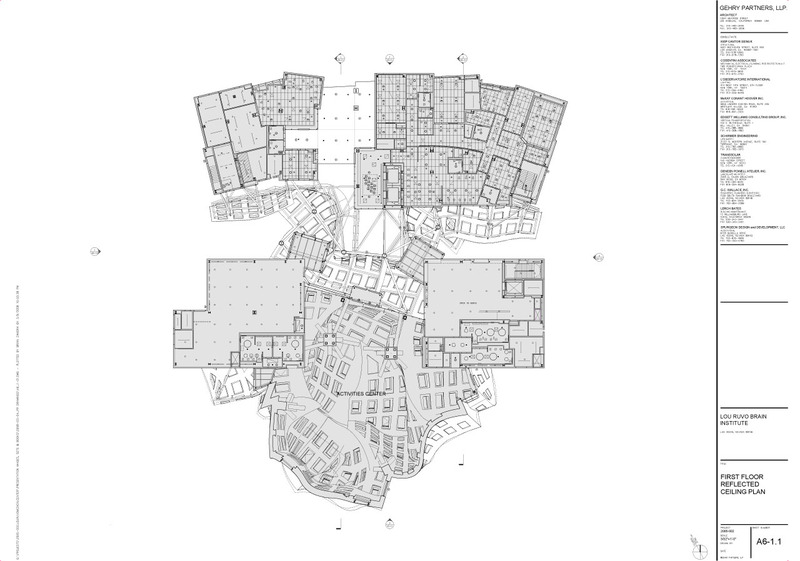 I suppose that Gehry developed this “strategy” to deal with the high construction budget needed to built his sculptural Buildings …. 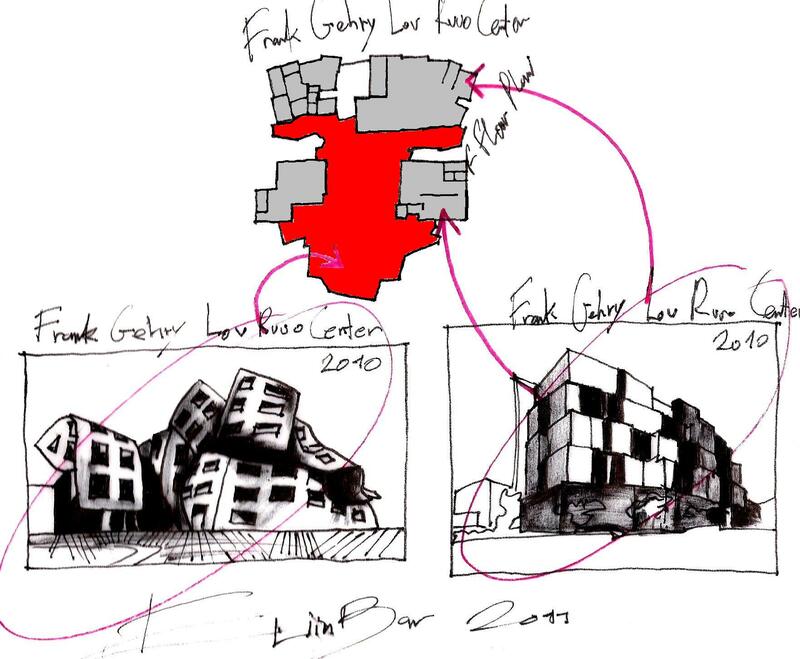 Eliinbar sketches 2011– frank Gehry-dealing with economic reality?…. 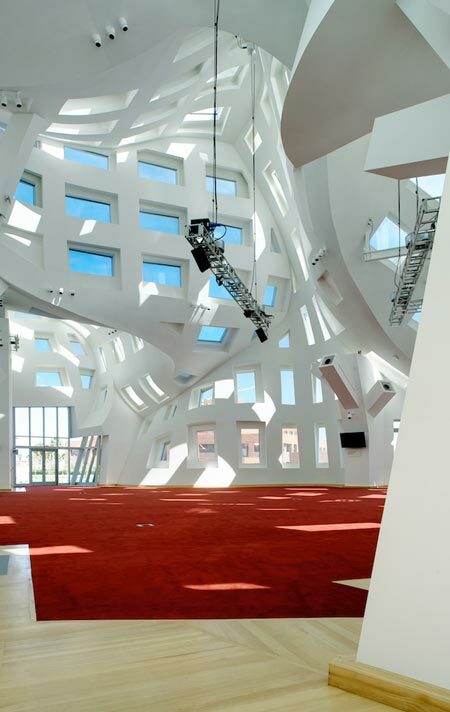 Frank Gehry’s Lou Ruvo Center a picture from east. Note the difference between the two parts of the building. 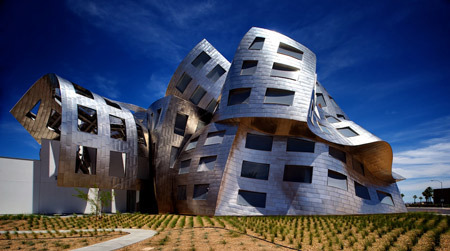 1.Frank Gehry does not give up his desire for creativity and uniqueness . 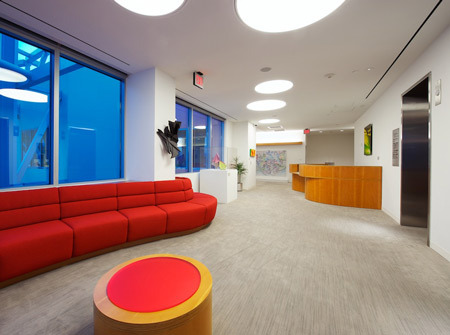 2.He designs buildings with effective floor plans. 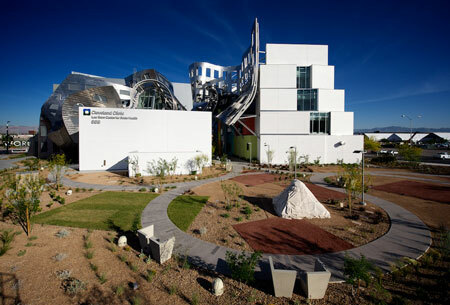 3.Gehry develops tools (Codex rules), and uses his architect skills to design buildings directed budget. 4.I do not always identify with the result of his “strategy”….